Scratchbuilt ladders upgrade a model on Bill’s workbench. Bill Welch steps in for a post on a recent technique that moved a project along. Click on any image here to review a larger size. Enjoy his story. Because so many Steam Era House Cars were not of a standard design, or were ad hoc standard designs, the ladder rung spacing on Box, Auto, and Refrigerator cars would have varied meaning for a modeler that the commercial ladders often available to us are not exactly correct. Having become fanatical about the proper shape of Sill Steps, it was only a matter of time before I became obsessed about ladders. For models I spend a lot of time on I have been scratch-building ladders. Initially and luckily I could do this using an HO scale ruler but then I encountered a situation that required a different way to calculate the rung spacing and was wondering how to do this. I floated an email to members of my Modeling Posse and Pierre Oliver remembered a solution from his High School Drafting class and what he described worked perfectly and is ridiculously easy. Here goes. 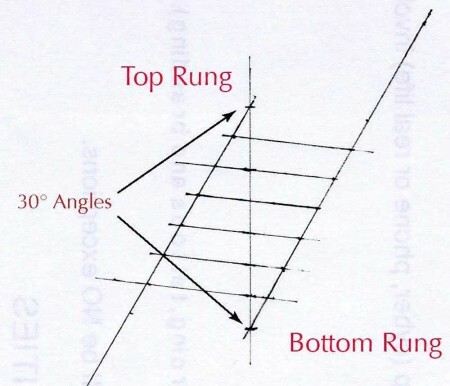 First off knowing where the location of the top and bottom ladder rungs and the distance between them is necessary and often there is a feature on the side of the car that helps us determine those two spots. From there we calculate the distance between them. 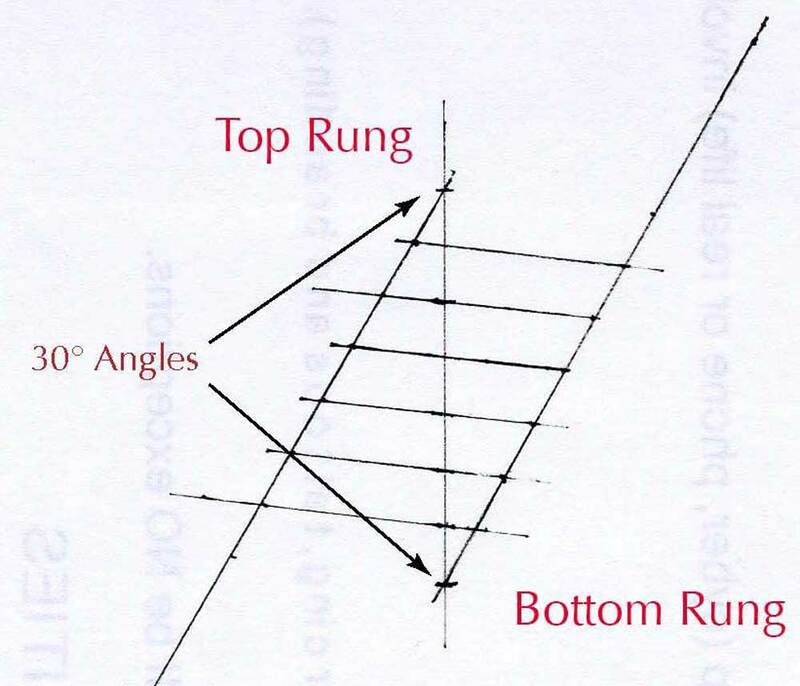 Draw a straight line longer than you need and mark the line with two spots that correspond to the scale distance between the top and bottom ladder rungs. At each of those two spots draw a line at the same angle so that you have two parallel lines. I use 30° because it is easy but the angle really does no matter as long as both angles are the same. Okay, say you need an 8-rung ladder: Using either a compass or a ruler mark off 8 spaces on each parallel line. All marks must be equal distances. Then with a straight edge connect each set of dots or marks and like magic you have positions for each of the other six ladder rungs. The task ended up Easy Peasey with the help of this drawing. The model isn’t quite done, but the ladders are complete and the build moves forward.